Testashadow will head to Rosehill for his next start in a Villiers preparation on the back of a third in a stakes race at Flemington. Gary Portelli has unveiled a couple of promising two-year-olds already this season but is looking to a stable veteran to keep up his good form when he runs at Rosehill. Seven-year-old Testashadow will line up in Saturday's November Topaz (1900m) after a game third in the Listed Furphy Stakes (1800m) at Flemington last week. The gelding was beaten by the Chris Waller -trained pair Kaonic and Life Less Ordinary in the Furphy and also has a Group Three third this campaign in the Premier's Cup won by Avilius . 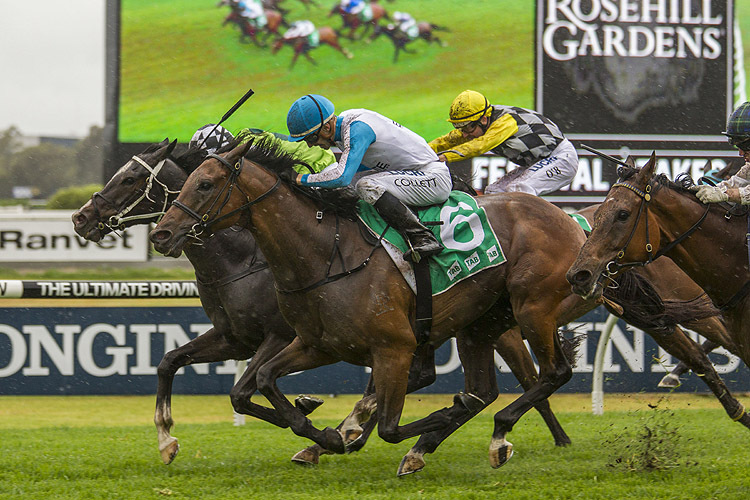 "He's come back from Melbourne and will run in the Topaz," Portelli said. "Then we will look to run him in the Villiers again." Testashadow finished sixth in last year's Group Two Villiers Stakes (1600m) at Randwick, beaten 1-1/2 lengths. This year's Villiers is on December 15. Unbeaten juvenile colt Time To Reign , a half brother to the Portelli-trained 2017 Golden Slipper winner She Will Reign, is having a short break since his most recent win on November 3 before he begins a Slipper preparation. Like She Will Reign, Time To Reign is raced by Darby Racing but cost the group $325,000 compared to the $20,000 outlay for his sister. Portelli will send two-year-old Spaceboy to the races on Saturday week when he will run in the Golden Gift (1100m). The colt is from the first crop by Deep Field and won an 800m-barrier trial at Warwick Farm last Friday by six lengths.